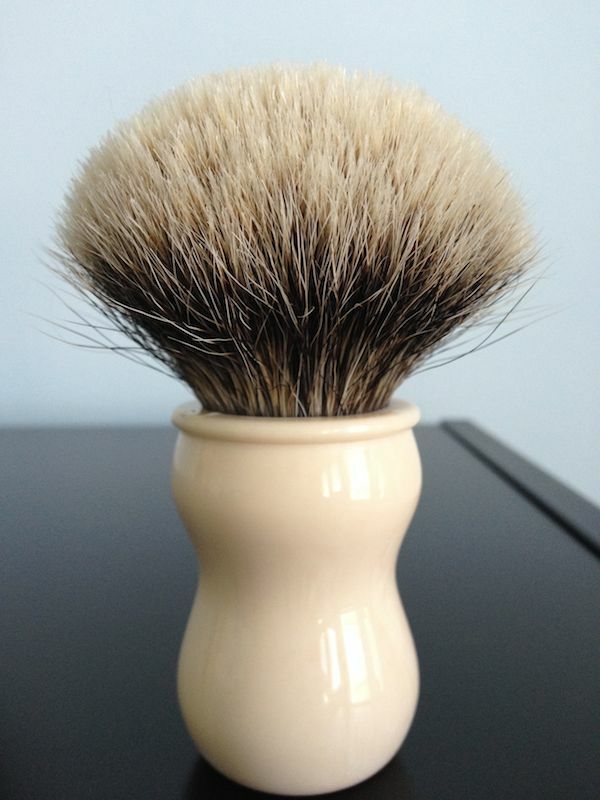 For sale is a custom brush with a WSP Manchurian (2 Band) knot in a Faux Ivory Elite Handle. The handle material is Bob's recent faux ivory that has a wonderful grain to it. From the faux ivory that I owned it resembles the most the weight and feel of real ivory. 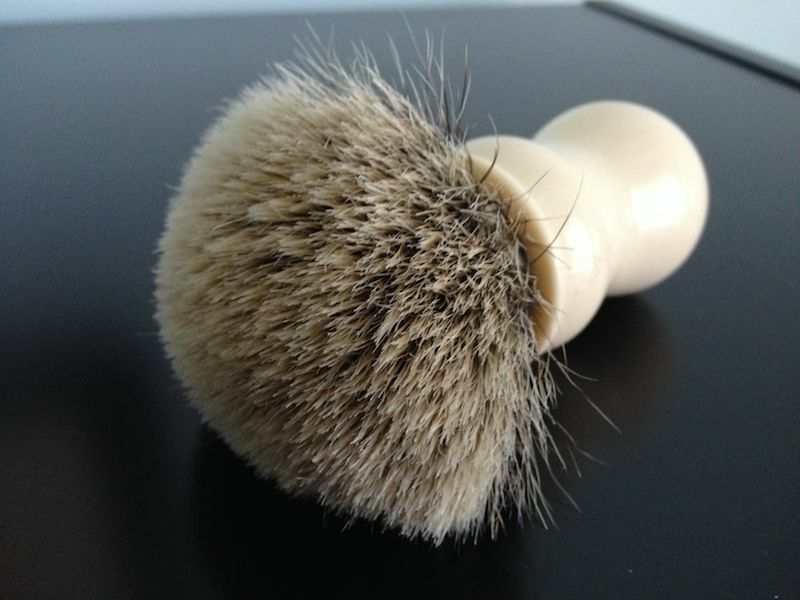 The brush excels at face lathering. The knot is well controlled despite the larger diameter. Tips are soft, however, with some scrub to it. Brush has seen modest use and is in perfect condition. WAS $120 NOW $105 incl. shipping w/tracking. CONUS and PayPal only. What a beautiful, flowing handle shape ... GLWTS! This won't last long. Lovely brush.